Last month, I peeked inside the fridge to find something I could make as a side dish for our evening soup. I immeadiately noticed the blueberries sitting in the corner of the second shelf. The blueberries had definitely seen better days. And blueberry muffins felt like the perfect addition to the lentil soup simmering away on the stove-top. I could have made spelt blueberry muffins, but for some reason I wanted to take a different route. Instead of using wheat-based flour, I decided to use almond flour and oat flour with the carrot cake muffin recipe as my guide. As I poured the ingredients and mixed the batter, I also shared a few Instagram Stories of the process. (By the way, we have a lot of fun over on Instagram, so come over and join the party.) The muffins were a success, and the response for a written recipe from Instagram friends was overwhelming. Over the next few days, reader friends tagged me as they made the blueberry muffins based on my rough notes. 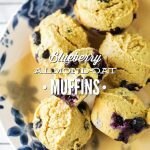 I almost dismissed this muffin recipe as a one-time share on Instagram (although I’ve made the muffins several times since that night). 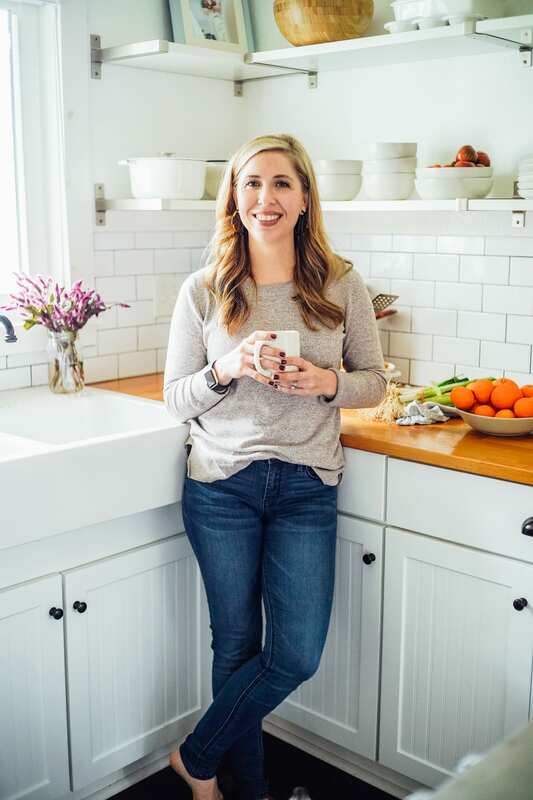 Then I came to my senses and decided that this spur-of-the-moment recipe deserves a permanent home on Live Simply. 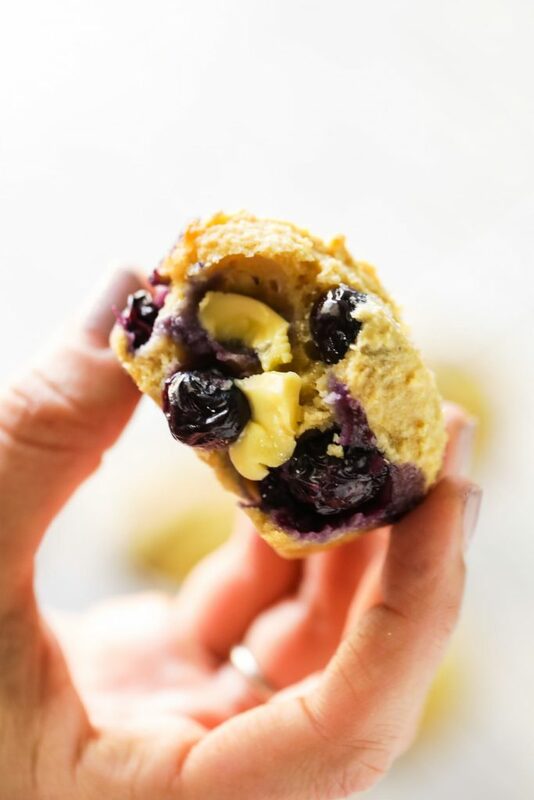 These muffins are naturally gluten-free and naturally sweetened with a minimal amount of maple syrup. They remind me of pancakes, although they are more dense than a fluffy pancake, making them a great breakfast treat. The muffins keep well in the fridge for up to a few days, or may be stored in the freezer for a few months. 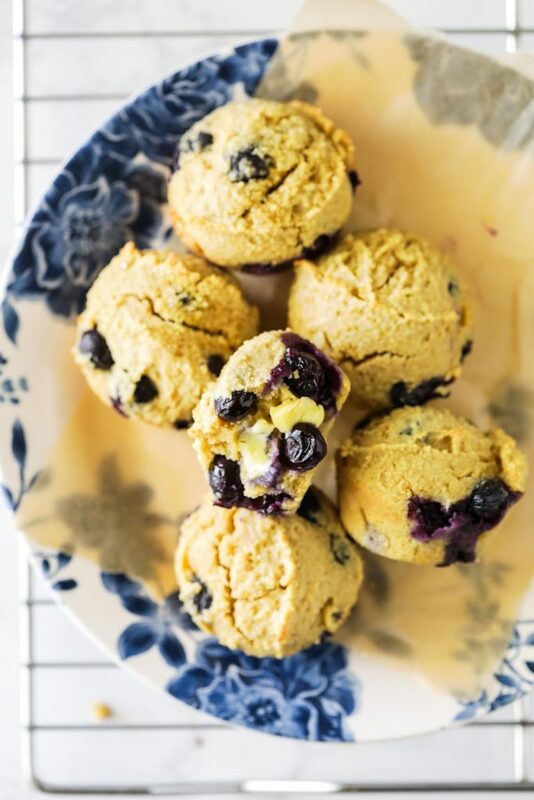 Naturally-sweetened, gluten-free muffins that taste like homemade blueberry pancakes. 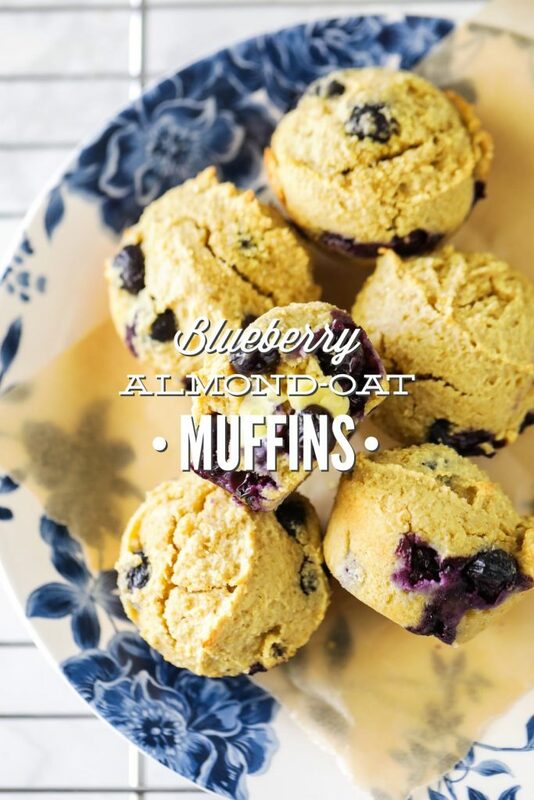 Prep these real-food muffins for an easy, grab-n-go breakfast or snack option. Preheat the oven to 350F. Line a 12-cavity muffin pan with muffin liners, or grease the pan. In a large mixing bowl, whisk together the wet ingredients: melted butter, applesauce, maple syrup, eggs, and vanilla extract. 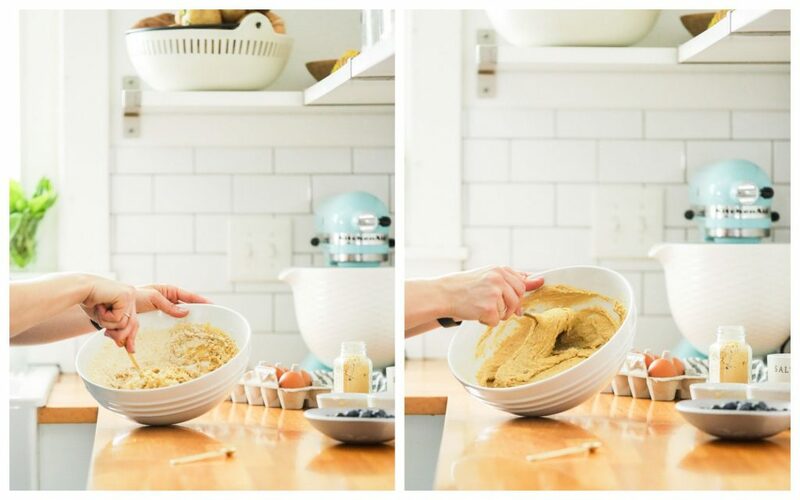 Add the dry ingredients to the bowl: almond flour, oat flour, baking powder, ginger, and salt. Stir to combine the ingredients. Add the fresh blueberries, and stir until incorporated throughout the batter. Divide the muffin mixture evenly among the muffin cups. I use an ice cream scooper. Bake for 20-22 minutes, until the centers are firm to touch. Let the muffins cool before enjoying. The muffins will keep in the fridge for about a week, or may be stored in the freezer for up to 3 months. Hey Kristin, Hmmm, the notes have disappeared. I’ll fix that. Thank you for catching that. 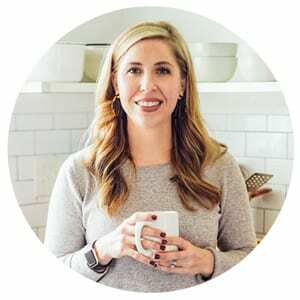 For the oat flour, the note should say that you can use ground rolled oats–just grind them on your own in the food processor or blender. You’ll want to use the same amount 1 cup rolled oats should equal about the same in flour. 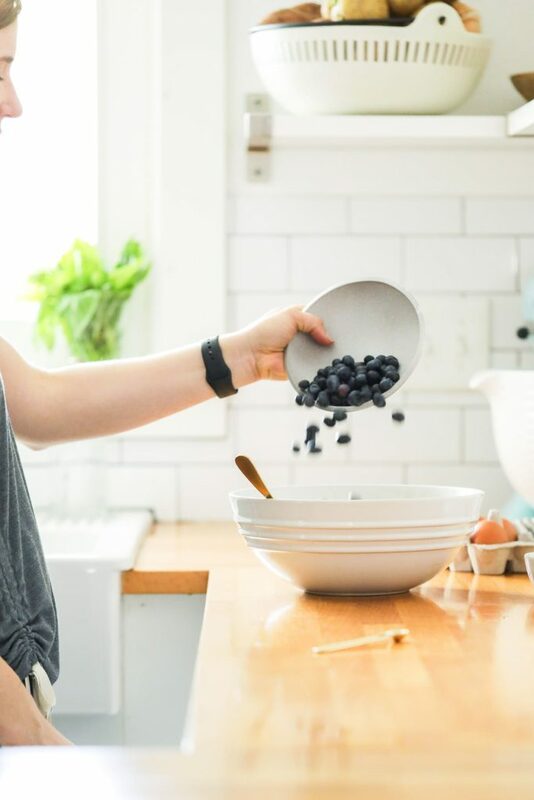 For the blueberries, you can use frozen blueberries, just be sure to toss them in while still frozen.